A day visiting Kuranda, a tiny village up in the rainforest outside of Cairns is a must do while visiting Cairns. 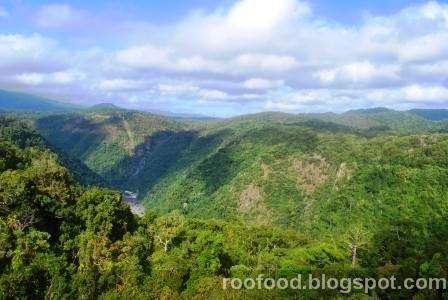 Kuranda is a number one tourist destination that is famous for it's arts and crafts industy. 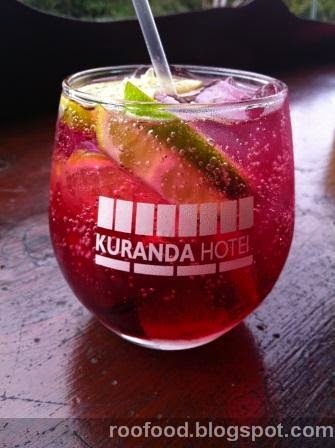 There are many options to get to Kuranda but the most popular being the Skyrail Rainforest Cablecar and the Kuranda Scenic Railway. 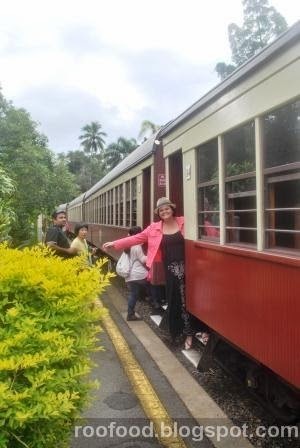 We chose to go up on the skyrail, over the canopy of the rainforest and return by the scenic railway, getting a glimpse into both transport options. We opted to upgrade to the diamond view on the skyrail, which offers a glass floor and a wonderful view to the rainforest below you. 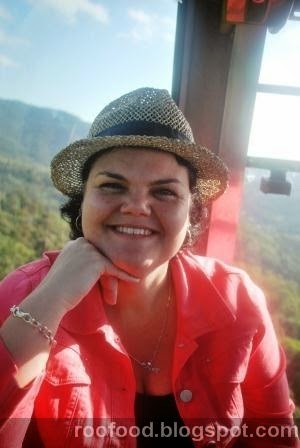 Heading up the 7.5km to Kuranda you can see wonderful views of the rainforest all the way to the sea. It's lush green and breathtaking. There are to optional stops along the way. Red Peak and Barron Falls. Each stop offers a boardwalk of a few minutes through the lush rainforest and see the rainforest from groundlevel and of course seeing some lovely waterfalls. 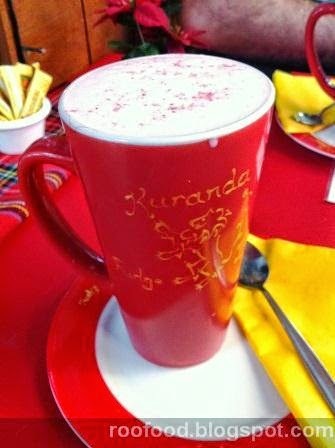 Kuranda is abuzz with tourists shopping and eating. 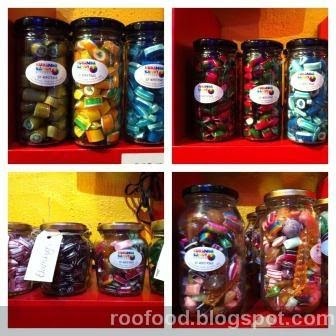 We wander through the main street down to the Heritage markets and the Original markets. 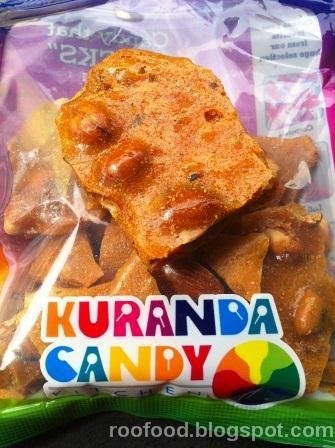 We stop off at Kuranda Candy for some sweet treats, although we end up buying chilli peanut brittle and lime and chilli candy (so perhaps not so sweet trwats!). Excuse me while I enjoy a moment with my mug.....this is absolutely an amazingly wonderful concoction and served in a huge mug hand painted with their crest. After an hour of so of wandering through the markets (both original and heritage) we spend some time in at the butterfly sanctuary before our tummies are grumbling and I know that Mr C would like German sausages for lunch. 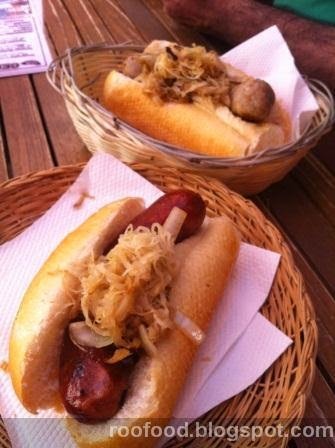 We head on over to German Tucker Wursthouse for a Kaeseknacker (smoked beef and cheese sausage) and a Thuringer Bratwurst (beef, pork and herbs and spices) with kraut to share. We grab a table out on the tiny balcony overlooking the main hub of Kuranda and listen to some oompa music to set the mood. 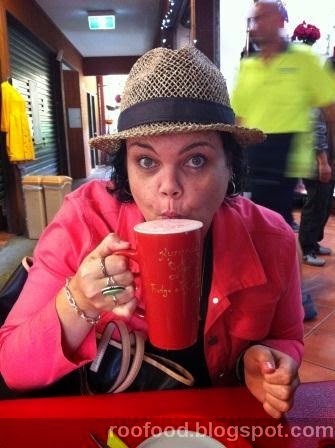 Before boarding the scenic railway back to Cairns we stop by the local waterhole for a thirst quenching drink or two. 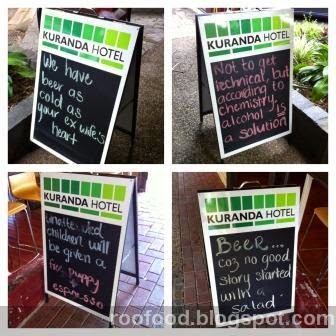 The Kuranda Hotel is a typical Queenslander style pub and it's very atmospheric and tropical. I could get used to this. We couldn't help ourselves and also purchased two pies from Annabelle's Pantry. It was nearing the end of the day so we were left with only a select few options. 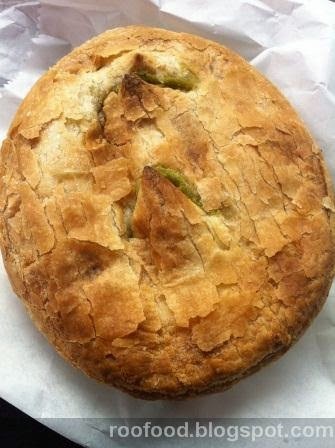 Mr C goes with pepper beef pie and I have a beef and mushy pea pie. As far as pie go, they were okay. Not the best pies I've ever tasted, but certainly good enough. It may have been a combination of later in the day, we were already full from lunch and drinking. It's time to board the train and head back to Cairns. I was really looking forward to the train ride. 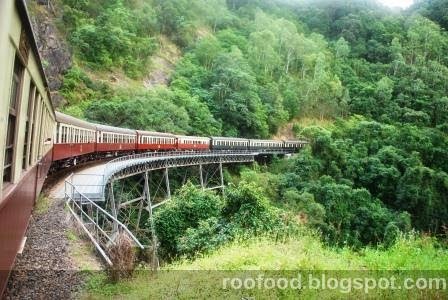 Cutting through dense heritage listed rainforest, waterfalls and bridges on an old train. Romantic! Later in the evening we were a little peckish. We headed to Spice Bite , which is an Indian restaurant recommended by our taxi driver when we first arrived in Cairns. 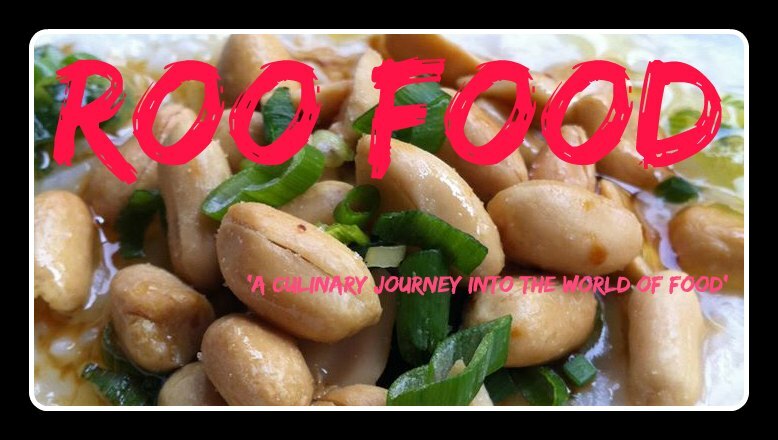 The spicy aroma wafts from the kitchen and entices us before we are even seated. 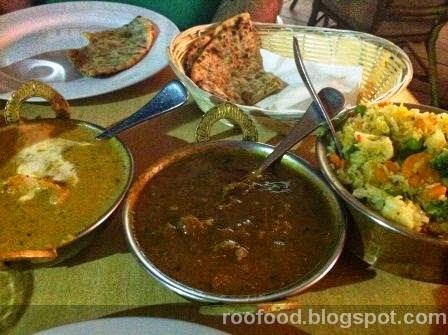 The menu is extensive and it even offers crocodile curries. 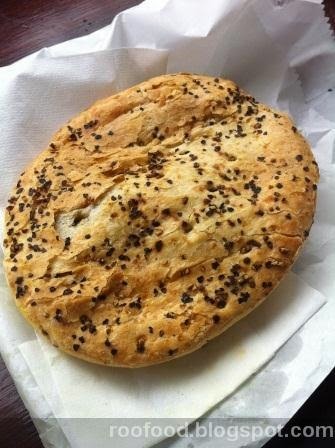 However, we keep it a little more traditional and opt for the kheema naan - which has spiced mince between the layers of the naan bread (and a new discovery!) 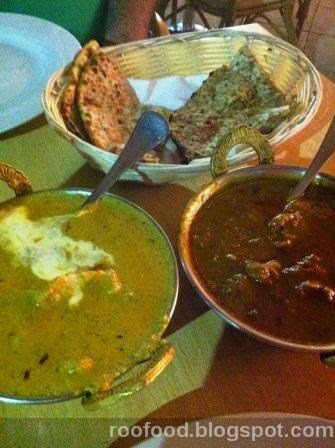 and utterly delicious, a lovely rich and nutty chicken korma and lamb rogan josh with a side of pilau. Spicy Bite can be found on the corner of the Esplanade and Shields St, Cairns.